The age old strategy of 'under promise and over deliver' is one that often goes wrong, doesn't it? Have you seen it go wrong in your business? For example - a customer is chasing you for an update on a late order and you give them your best delivery prediction.... only to watch it fall apart and witness your customer getting more and more irritated. Not only are they now angry at you / your business, you're now feeling less than brilliant. So how about these three pointers, should you find yourself in the same position? If I start with 'avoiding isolation' I am referring to not ignoring every other promise your business has already made to other customers. Many times the over promise comes from ignoring your other obligations and providing a projected delivery date based on there being no other demands inside your business. Unless this happens to be true for you, I urge you to consider all of the other orders / projects that are running through your business before you commit yourself to a delivery deadline. My second point is that of contingency and it leads from the first point. Not only do you have other promises sharing your business' resources, you probably have risks in your business that need to be considered. It is incredibly tempting to ignore these risks when calculating when you could ship your customer's order, but increases the chance of failure. It is better to improve on a promise than fail to meet it. Your customers may be disappointed when they first hear the new date, but it is better to disappoint them once than on several further occasions as you revise (and re-revise) the date provided! So, let's say that you want to avoid these situations, what do you do? The answer is quite simple - you learn from the situation and improve the systems and processes within your business to avoid these kinds of problems in the future. This might sound like one of those 'easier said than done' statements, but it is doable. Sure, the transition can be a little painful, but certainly worth it. If you are familiar with root cause analysis (log into Making It Happen to access this module if you have already joined) then you can use that approach as one way to determine how you ended up in that position in the first place. I used to hate trying to guess what our delivery dates were going to be for multiple customers. Effectively I lied to each one of them, promising several thousand percent of our real capacity in the final days of the working month. I broke this cycle when I frankly couldn't take the soul destroying effects any longer. I found out what we were systematically doing to cause the problem and fixed it. I provided new order delivery dates for the immediate deliveries much to the disappointment of our customers. They got over it quickly and within three months our on time delivery performance rose from 22% to an average of 98%, not bad for bespoke engineered products. Our order books soared after that, simply because we could meet our obligations and deliver on time... but that's another story for another day! 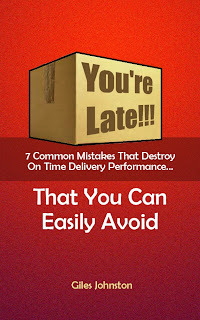 There is always a way to get out of poor levels of delivery performance. In the above example the solution was to fix the way that we loaded our production schedules and properly model our factory's capacity. Not rocket science that's for sure. 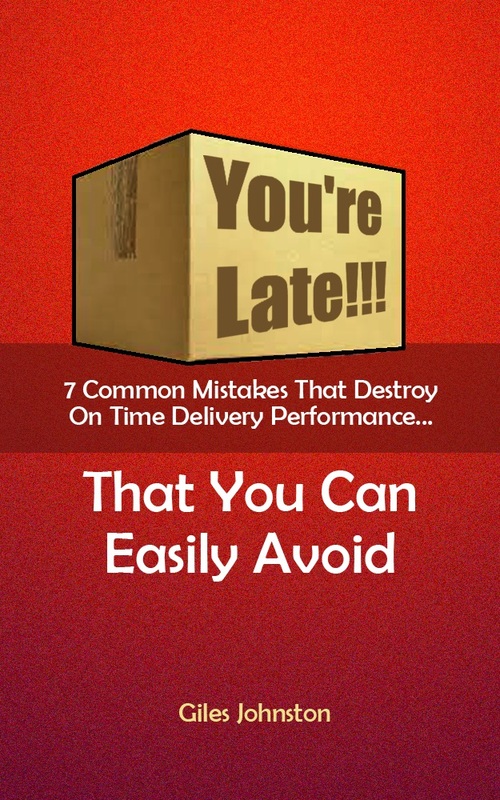 If you want some ideas to start moving your business out of an 'over promise and under deliver' situation then download my free on time delivery improvement guide and start making some changes today. You can request your copy of the guide here.